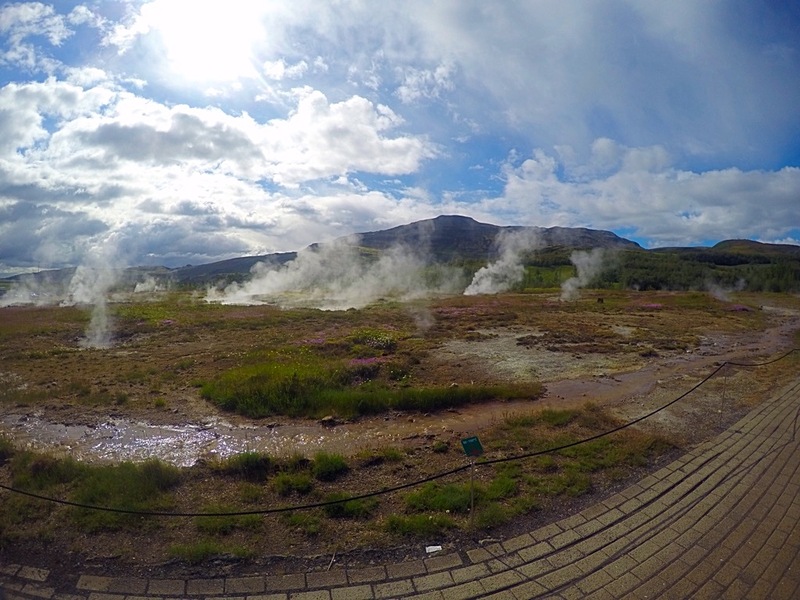 When you think about Iceland what would typically come to your mind? You may probably think about a country completely covered in ice (hence the name obviously). 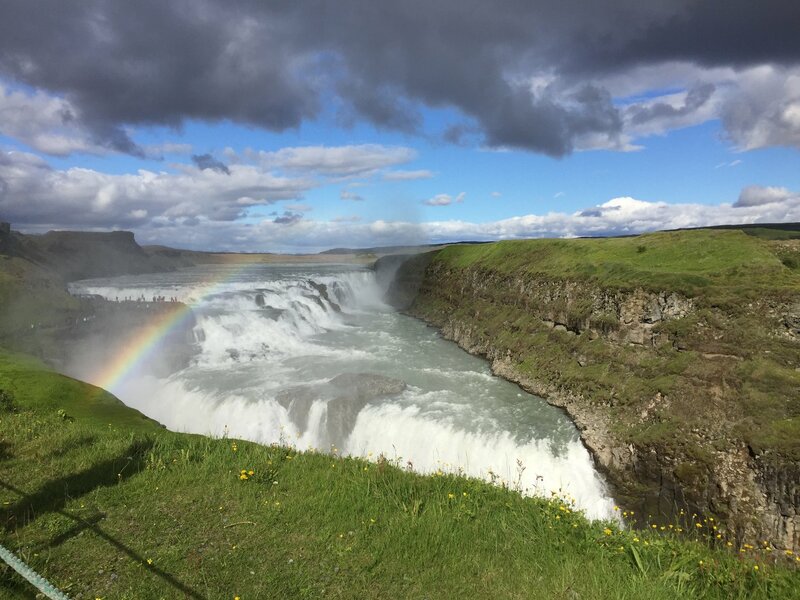 However, contrary to popular belief Iceland is actually filled with more green pastures and hidden waterfalls than ice, and in four days I was determined to see them all. 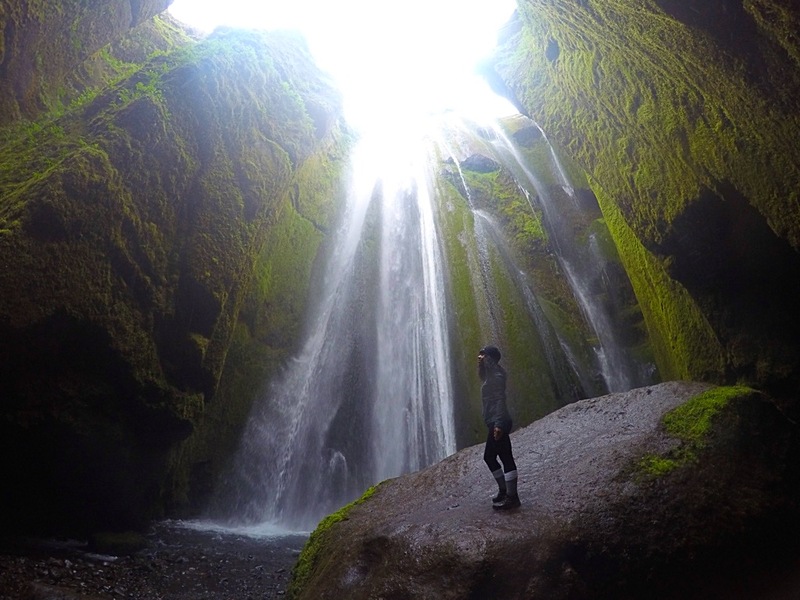 Now you’re probably thinking, “How do you plan on seeing all of the amazing sites Iceland has to offer in less than a week?” Well, I definitely wouldn’t have been able to see it all by booking daily group tours or by sleeping in one hotel the entire time. No, I had to be mobile to get the most out of my short vacation. The thought of spending at least $400 on a four-night stay at a hotel, plus the cost of transportation, tour guides, excursions, meals and the ultimate cost of my time drove me insane. Why pay for a hotel when I wouldn’t even be in it for 90% of the day? Why spend money on a time-restricted, guided tour when I can guide myself and take as long as I want? Especially considering that during most guided tours you are advised to stay, follow and leave with the group. What if I wanted to stay longer or explore a different area? Can you see my dilemma? 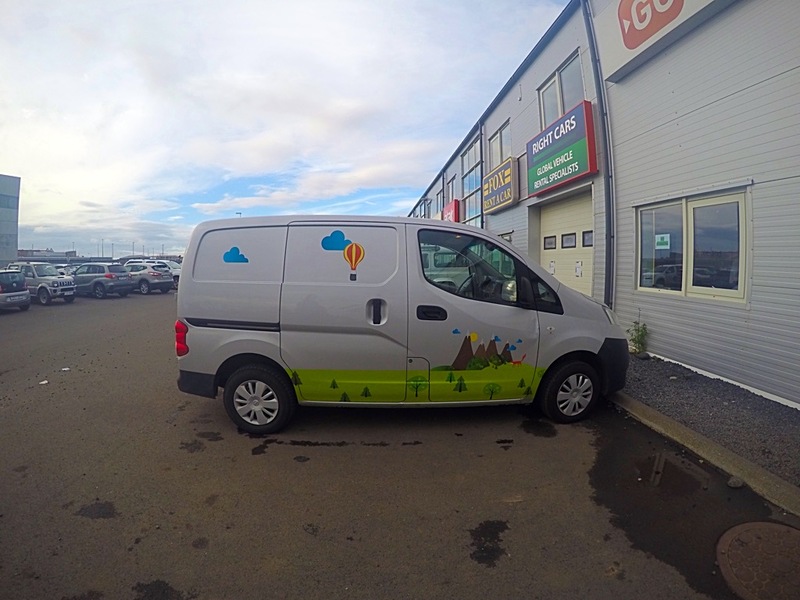 I knew that there was a more affordable way to see all of Iceland without breaking my pockets. Hence the ultimate road trip began with booking a camping van for less than I would have paid for a hotel plus a rental car through Camper Van Iceland. My home on wheels included wifi, two sleeping bags, a blanket, a large mattress, lawn chairs, a prefilled water tank, cutlery, a mini gas tank, and any essential you can think of to accommodate an ultimate camping experience. The great thing about camping and living on wheels is that you can literally sleep anywhere, which is what I did after my exhausting adventure filled day. I grabbed a pizza and parked on the side of the road near a peaceful lake and knocked out. 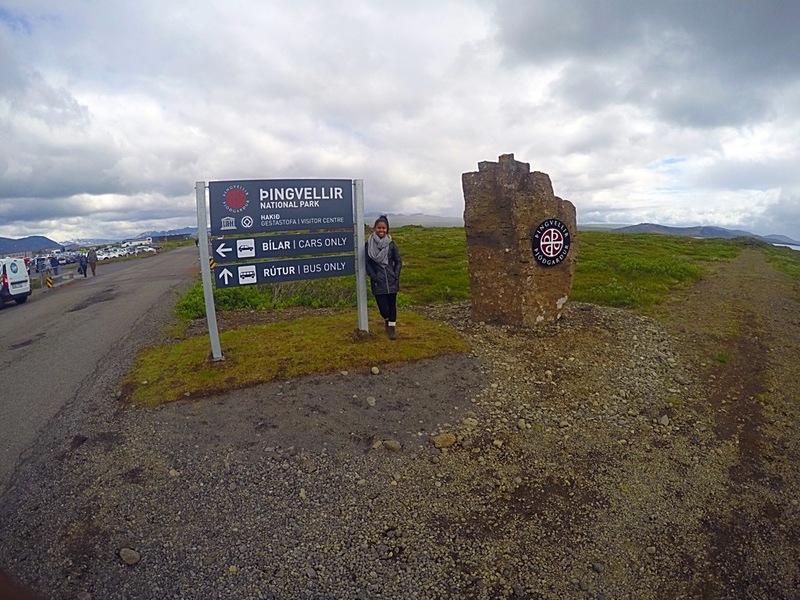 The day started bright and early with me returning to Ϸingvellir National Park so I could go snorkeling in the Silfra. 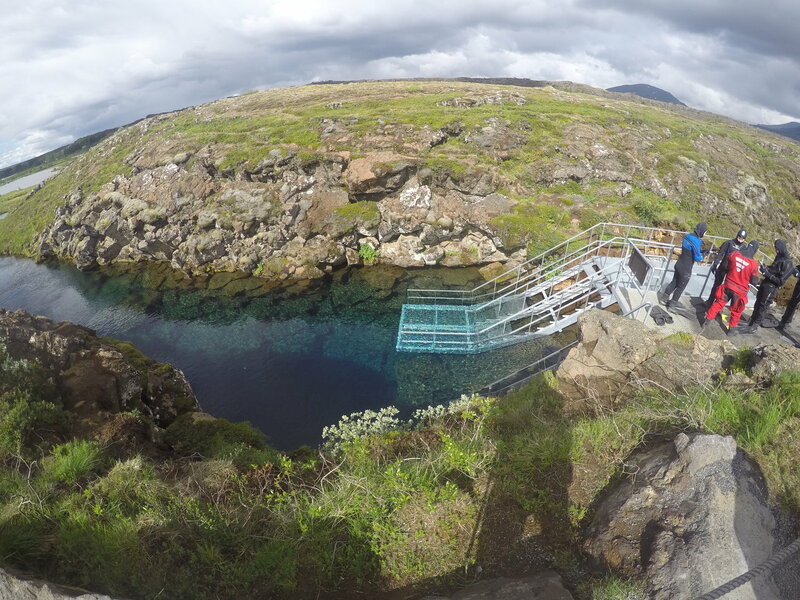 Now, what exactly is the Silfra you might ask? Well, it is the fissure between the North American and Eurasian continents that is submerged below freezing glacier water! I booked the once in a lifetime diving experience through Dive.is. *Disclosure, this was the only guided tour I booked for the entire trip. * Nevertheless, this tour was completely worth every penny. The tour guides were very friendly, hospitable, and knowledgeable about the history of Iceland and the Silfra. After warming up from my freezing, yet awesome swim, I was back on the road driving straight down Route 1 with no scheduled plans or any time constraints hindering me, just the open road ahead. 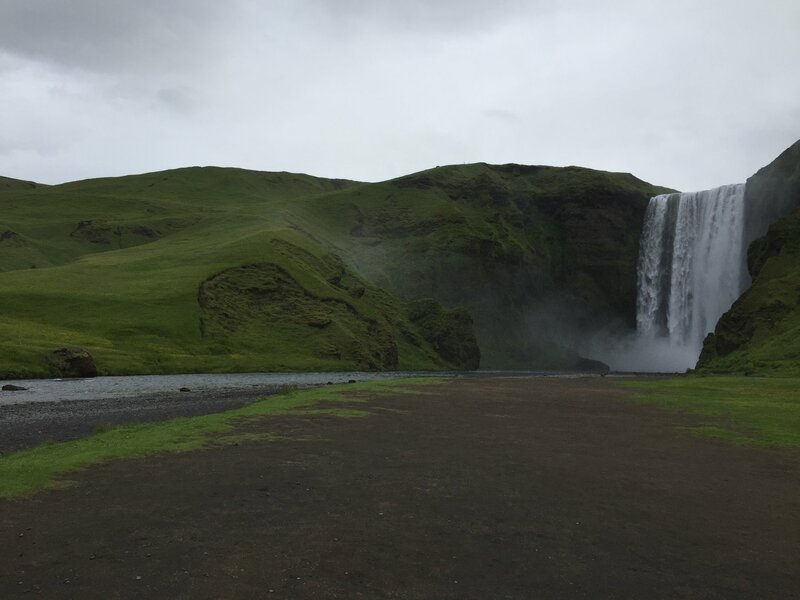 Along Route 1 I made several stops to hike up waterfalls Seljalandsfoss and Skόgafoss. After I finished hunting waterfalls, I turned my search to find a DC-3 airplane crash. Not too far between Skόgafoss and the town of Vík in a remote location called Sόlheimasandur is where I found the plane crash. There is a yellow sign with the location’s name as well as a short rickety bridge and a fence/gate off to the right-hand side. That’s where you park and start walking. 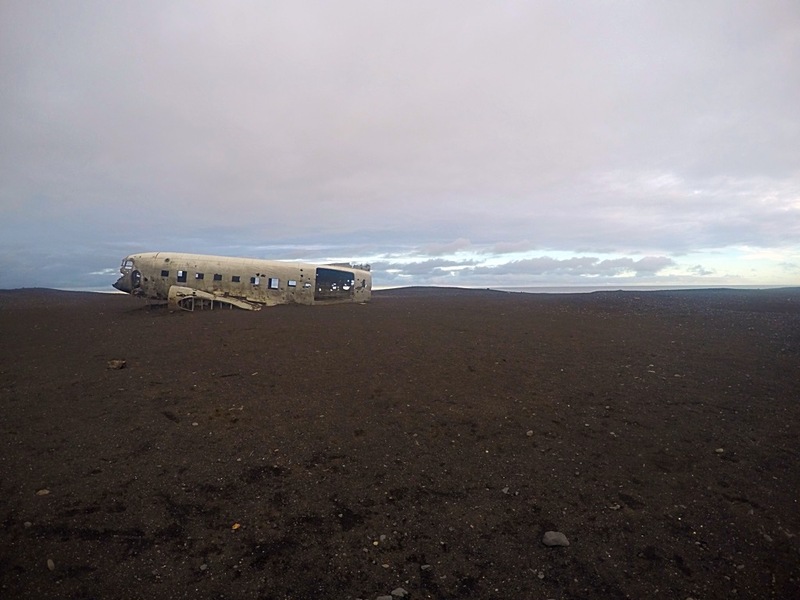 After walking about 2.5 miles on Sόlheimasandur’s black sand beach, or what seemed more like a never-ending black desert, I finally reached the iconic crash. The hike to the crash and back was exhausting but with the 24-hour daylight, I couldn’t resist driving further down Route 1 to see what else I could find. Day 2 ended with a short visit to Dyrhόlaey, a hillside mountain with incredible views of Reynisfjara’s black sand beaches. Because Icelandic summers experience 24 hours’ worth of daylight, it was hard to bring myself to stop exploring and actually go to sleep; however, I finally ended up at a campsite in Vík to lie down and get some rest. 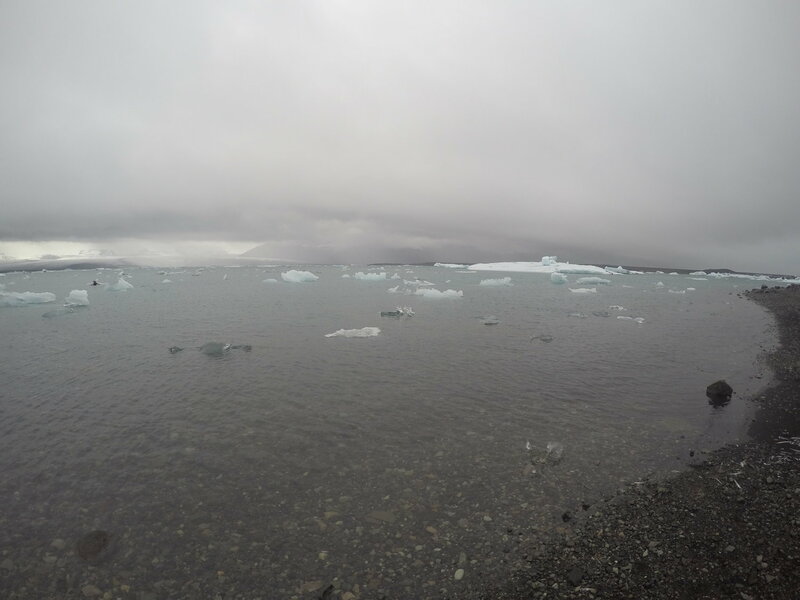 I was on a mission, a mission to get to the famous Jӧkulsarlόn glacier lagoon that was featured in a James Bond film and then back to Reykjavík. The drive from Vík to the lagoon seemed to take hours probably because along the way I made a pit stop at Hvannadalshnúkur, the highest peak in Iceland, to hike up a few glaciers. Eventually I did stumble upon the side of the lake unknowing that the main entrance was only a short distance away. I took a break from the long drive to sit on the black sand and count all the seals I could find. 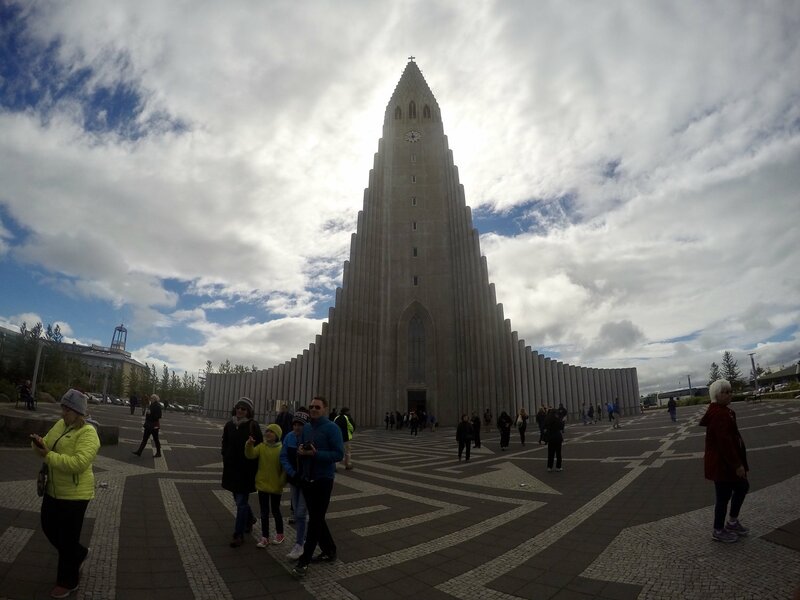 Considering that it was still day light when I made my way back to Reykjavik I decided to make a few more pit stops. 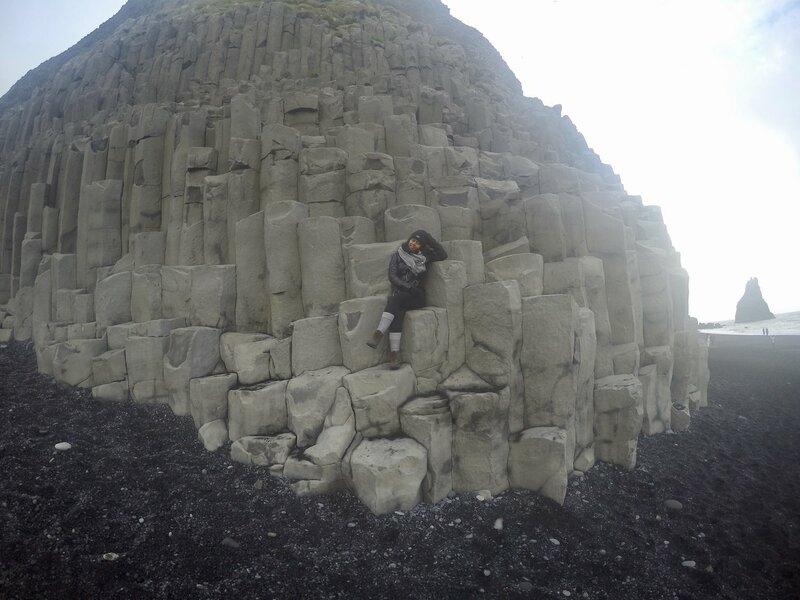 While passing back through Vík I stopped at Reynisfjara to climb the stone pillars that align the mountain side of the beach. When passing by Seljalandsfoss, to my surprise, after stumbling upon a subtle cave I found what I considered to be the most incredible waterfall I’ve seen during my entire trip, Gljúfrafoss. Day 4 ended with me touring the outside of the famous Blue Lagoon. I wasn’t too keen on spending money to actually go inside and go swimming, but outside of the main entrance, there are smaller pools of the small therapeutic water which you’re able to put your feet in. Thank goodness, the Blue Lagoon isn’t too far from the airport because right after my visit I headed back to return my mobile home then hopped on my flight to head back to Washington D.C. I had four full days of driving and exploring, stopping when I wanted to stop and going where I wanted to go. This had to have been the ultimate road trip. I am currently 26 and my passion and purpose in life is to bridge the gap between cultures by inspiring and motivating others to venture beyond the comforts of their backyards by sharing my authentic experiences from all around the world! My goal is to debunk negative stigmas and stereotypes and show others that it’s ok to travel! Hence Venture With V, LLC. was created! A platform where I can share my personal, honest, transparent, and authentic experience with others with the hope that it will encourage others to embrace cultural differences so we can ultimately learn to love those who are different from us. Check out more of my work on my blog!